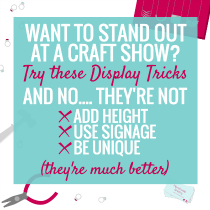 Craft shows are an important part of selling handmade goods. There’s no way to guarantee a successful show, as there are elements (like the weather) that are out of everyone’s control. 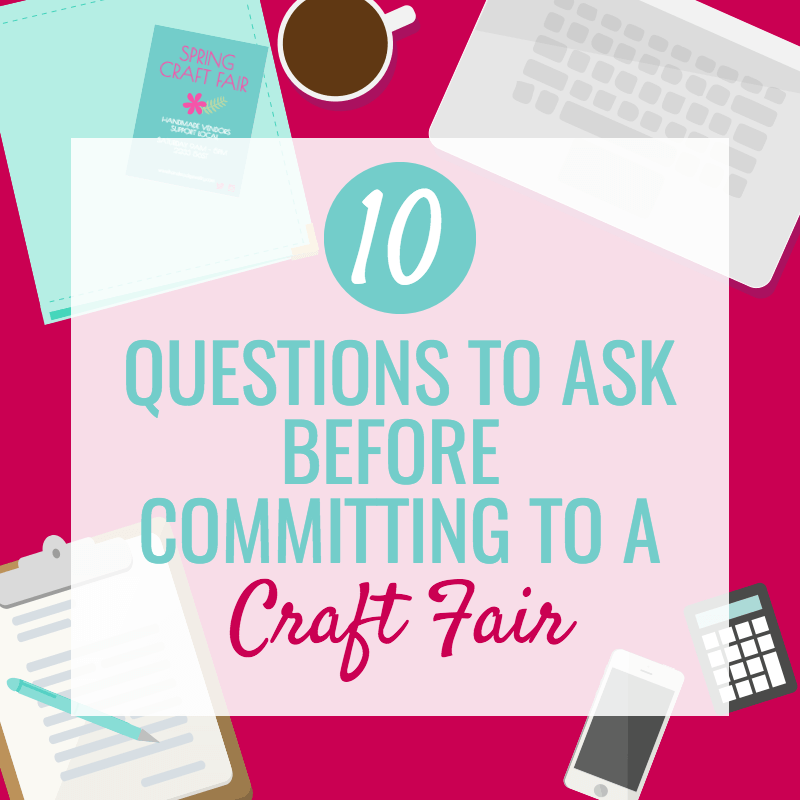 However, when you’re thinking about applying to a craft show you’ve never heard of, it’s a good idea to ask some questions to be sure it’s a fit for your business. 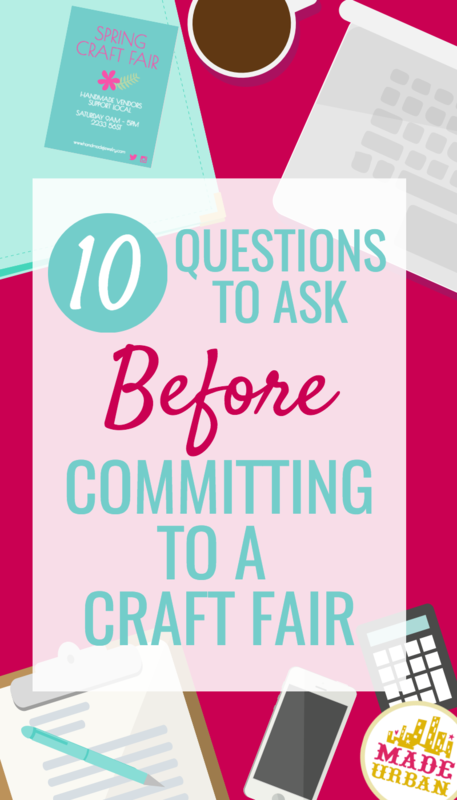 Choose one, a few or all questions below to ask an event organizer before you commit. 1) Have you put on other events before? Event organizers can put on great markets their first time around but if they have past successes, even better! If this is their first event, try to find out what their experience is in the handmade industry. If they’ve been selling their handmade goods for a while, have attended several shows and know a large network of people, that’s a good start. 2) Which vendors have participated in your show in the past? If they have put on events in the past, find out what type of vendors have participated. This will give you a bit of client list that you can use to get some reviews and let you know the type of vendors that are typically involved. It’s the sign of a successful event when vendors apply to the same show year after year. 3) How many vendors do you plan to have at this event? on the size of the event, how many people are helping to spread the word and how many other vendors may be selling items in the same category as yours. 4) What type of vendors will you have at this show? 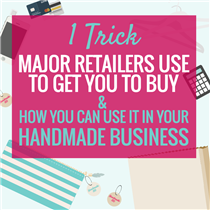 Some markets will be strictly handmade while other will have a mix of handmade with home-based businesses (like Arbonne, Scentsy, etc.) or even vintage. If it’s a mix, find out if it will work to your advantage or not. If you sell scented candles and wax melts and Scentsy will be at a booth across from you, it may not be the best fit for you. 5) Is it a juried event? Majority of shows will be juried, which means that the organizers will look at applications before accepting anyone. This is important because it helps ensure that the organizers are looking for quality and making sure that they’re not getting too many vendors selling the same type of product. 6) Will there be any other type of attraction? 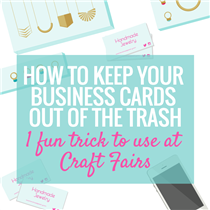 Planning a craft show is like planning a party; you need several elements to ensure success. Music, photo booths, giveaways and donations are all added attractions that help set the tone. See if the organizer has any ideas for making the show unique. 7) What demographic are you aiming for? 8) How will you be marketing the event? A lot of elements go into making an event a success. If the organizer is just relying on word of mouth, you may be in for a slow day. See what types of ideas they have for getting the word out there and if you think they line up with where you believe the target market could be found. 9) Will you be charging an entrance fee? Entrance fees can help ensure you’re getting some serious shoppers there with the intent to buy and not just lookie loos. If they are charging an entrance fee, find out how much it is going to be, if tickets will be sold ahead of time and if those fees are going towards something like a charity. 10) Can I purchase a half-table? If it’s your first market, your items are small or the price point of your products don’t warrant the cost of a table, find out if there are any opportunities to share a table or booth with someone in the same boat as you. This will make your overhead costs a little more manageable and you get to test out the waters with an unknown organizer. Having a booth buddy is great; you’ll have someone to chat with during slow periods and you can help each other cover the table for food or bathroom breaks. I find shows that have other stuff going on (bounce houses, face painting, festival type) are not good for sales. Lots of traffic but too few buyers. They are spending all their money on the festival with nothing for the craft show.